Hi! My name is Betty and I’m a constant work in progress. This is where I should probably stop writing and let you get on to my blog. I am a lover of Jesus. I also love coffee, long walks on the beach, dogs, cooking, avoiding laundry, and Cross-fitting. I’m a misunderstood sarcastic lady who likes to keep things real. 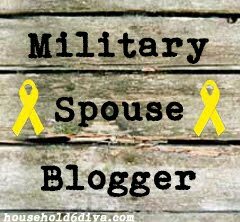 I am a wife to a Marine, an adoptive mama, a daughter, a sister, a friend and so on but I am not always the best. I’m learning to chose joy through the curve balls life throws at us. So I’ll end this about me page just like I started it- I’m a work in progress and I’m learning to chose joy.